Short Bytes: Budget smartphones are a very interesting smartphone segment where a customer looks for tons of features for a not-so-high price. As the competition in this segment is increasing, thanks to newer markets, we are witnessing a flood of such devices from different smartphone makers. Honk Kong-based Elephone has a strong lineup of budget smartphones and here I’m reviewing the Elephone P6000 Pro 3GB model. Chinese OEMs have taken the smartphone market with a storm. When they started flooding the world markets few years ago, the low-end tag was always associated with them. This was so because of their low-key specifications like weak CPU, low RAM, copied design, and other factors. Slowly and gradually, they have managed to break the stereotypes and deliver promising devices with loads of features at affordable prices. 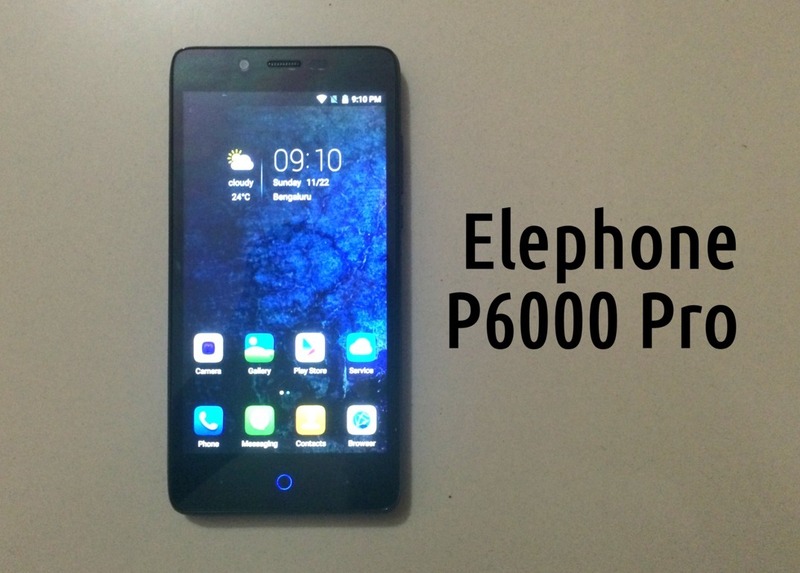 Today, I’m going to review one such budget smartphone that comes loaded with tons of features: Elephone P6000 Pro. 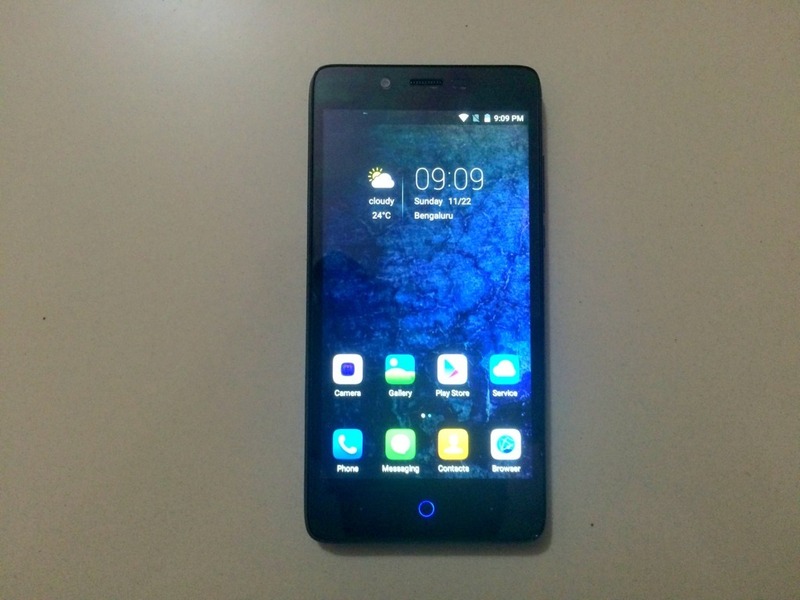 Elephone is a Hong Kong-based fast-growing company and P6000 Pro is one of the first smartphones from this OEM, featuring an Octa-core 64-bit Cortex-A53 based processor. With each passing day, the 64-bit processors are becoming a more mainstream phenomenon and Elephone P6000 Pro is a good example. My review unit came in a neat white package, opening which I was greeted with a black-colored Elephone P6000 Pro, measuring 71.6mm x 144.5mm x 8.9mm. The phone weighs heavy that feels good and solid to hands. Unlike other China-based OEMs, Elephone has managed to impart a unique design in P6000 Pro. The back cover and battery are removable, which is a thumbs up. The phone is 8.9mm thick, which isn’t ultra-thin but it isn’t much thick either. The backside of the device has been made more attractive by making the back-edges curved. Phone’s backside features the camera at the top, the Transformer-reminiscent Elephone logo in the middle, and speakers at the bottom. Looking at the front, on the bottom, you’ll see three capacitive buttons. The center button features a round blue-colored backlight that also acts a notification light. The right of the phone features the sound and power button. The headphone jack is located at the top, whereas the micro-USB port is at the bottom and aligned to the left. As I mentioned earlier, phone’s weight feels good to hands. Even though the build is plastic, it does give a little premium feel. The handset sports a 5-inch 1280×720 pixels IPS capacitive screen. This LG HD display looks good to eyes and delivers a crisp performance from all viewing angles. The phone comes with MiraVision technology for display picture quality optimization. However, phone struggles a little in direct sunlight but overall delivers a great performance. Another thing that I’d like to mention – the handset comes with two screen protectors and one is already installed. 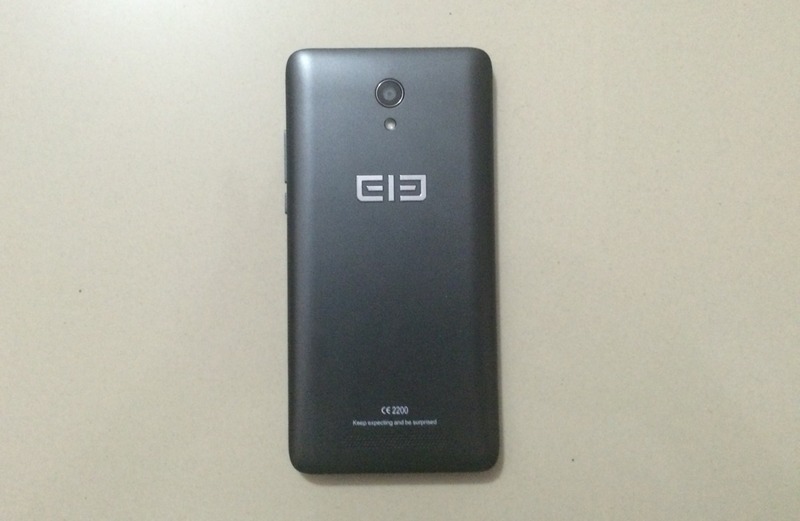 Elephone P6000 Pro features the MTK6753 1.5GHz quad-core 64-bit Cortex-A53 based processor. It owns 3GB RAM and 16GB inbuilt storage with expandable storage. Out of the total 16GB internal storage, about 13GB is available for use. As advertised by the OEM, MT6753 is faster than its predecessor. The phone runs on Android 5.1 Lollipop out of the box and besides a couple of Elephone apps, there is no bloatware. However, as a strange issue, I noticed some random app downloads being suggested automatically by the phone. Does that mean it comes with pre-installed adware? I’m a little bit skeptical about it. Talking about the camera, the phone captures good pictures in light but struggles badly in the dark. Sometimes pictures glow more and pictures don’t feel like from a 13MP. As I mentioned above, the display of the phone has an appreciable screen and responds well to touch. Testing phone’s processor, I played intensive 3D games like Riptide GP and it delivered a satisfactory performance. However, at the highest setting, Asphalt 8 showed some drop in frame rates. The build quality of the device is pretty good and it delivers a pretty decent battery life. All the Google services and Play Store work fine, and I’m not facing any performance glitches (thanks to its 3GB RAM) while using it as my primary phone from last one week. With minor flaws in camera, this dual-SIM 4G phone is a great steal for $140. Its improved processor and RAM make it more capable than what I expected and a tempting budget smartphone. 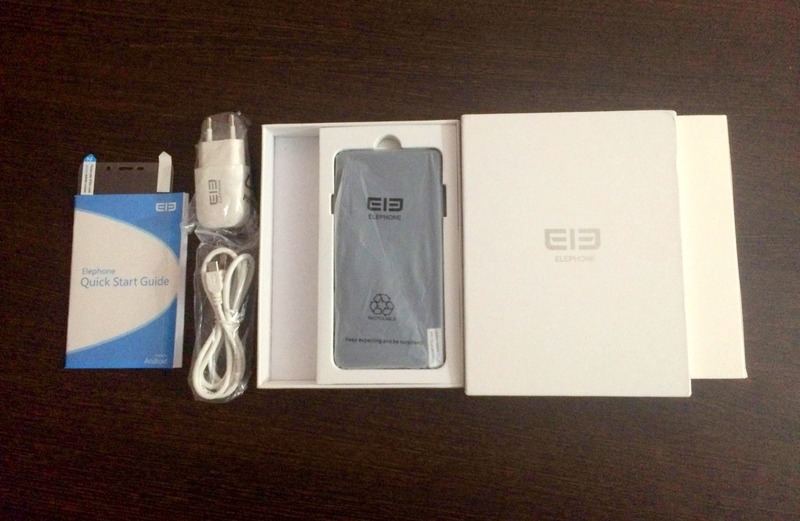 For more information, you can check out Elephone’s website.